So, if game companies need to include these social elements, but we hate spamming our mates with annoying status updates, what else can these companies do? Plenty. Firstly, there’s what Hayes calls the ‘freemium’ model, in which games companies create low-tech Facebook games or standalone Flash games that introduce players to the story, gameplay and/or characters of the full retail game in question. 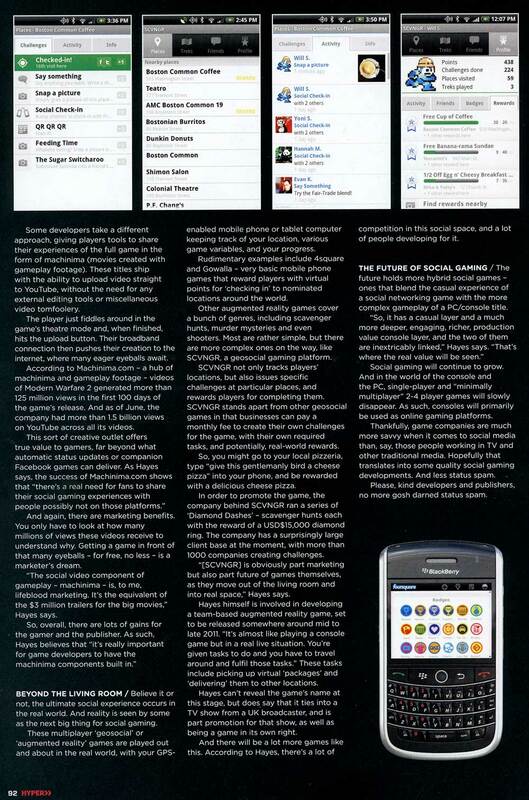 For the PS3 and Xbox 360 title Dante’s Inferno, EA commissioned social game developer LOLapps to create a Facebook application to promote the game. The resultant app includes combat, an inventory system, Dante-related lore, and other staples of traditional RPGs. These demos are a step up from the spam of automatic status updates, in terms of value to gamers. Although they are rather primitive, they have potential to offer players some pretty engaging gameplay. Some of these low-tech games go a step further, and offer players some kind of advantage in the final retail game, like extra items or credits. Crackdown 2, for example, rewards gamers that do well in a companion Facebook app with an extra weapon for use in the full game. In this age of paid horse armour DLC, a free weapon is nothing to thumb your nose at. Some take a different tack, rewarding players for actively inviting and encouraging their friends to come into the game in question and play. Rewards include credits for use at an in-game store, special items, or free subscription time. Often, such rewards (particularly free subscription time) are almost like a cash payout. It’s a tactic most popular in MMOs; both Aion and World of Warcraft have invite-a-friend type programs. Early results indicate that some of these approaches can work for publishers, in terms of promoting awareness and increasing game sales. According to a LOLapps survey of those that played the Dante’s Inferno Facebook app, 62% of players said they were going to buy the full retail game, while 52% of players said they found out about the console title through the Facebook game. So, skipping over the maths, that means a clear majority of those that played the Facebook game planned on buying the console game. More importantly, at least 10% of those that did plan on buying the game had found out about it via Facebook. So far, all the methods we’ve discussed have been attempts at incentivising passive marketing – giving rewards to gamers who inadvertently inform their friends, through Facebook or another social network, that they’re playing a particular game. Some developers take a different approach, giving players tools to share their experiences of the full game in the form of machinima (movies created with gameplay footage). These titles ship with the ability to upload video straight to YouTube, without the need for any external editing tools or miscellaneous video tomfoolery. The player just fiddles around in the game’s theatre mode and, when finished, hits the upload button. Their broadband connection then pushes their creation to the internet, where many eager eyeballs await. According to Machinima.com – a hub of machinima and gameplay footage – videos of Modern Warfare 2 generated more than 125 million views in the first 100 days of the game’s release. And as of June, the company had more than 1.5 billion views on YouTube across all its videos. And again, there are marketing benefits. You only have to look at how many millions of views these videos receive to understand why. Getting a game in front of that many eyeballs – for free, no less – is a marketer’s dream. 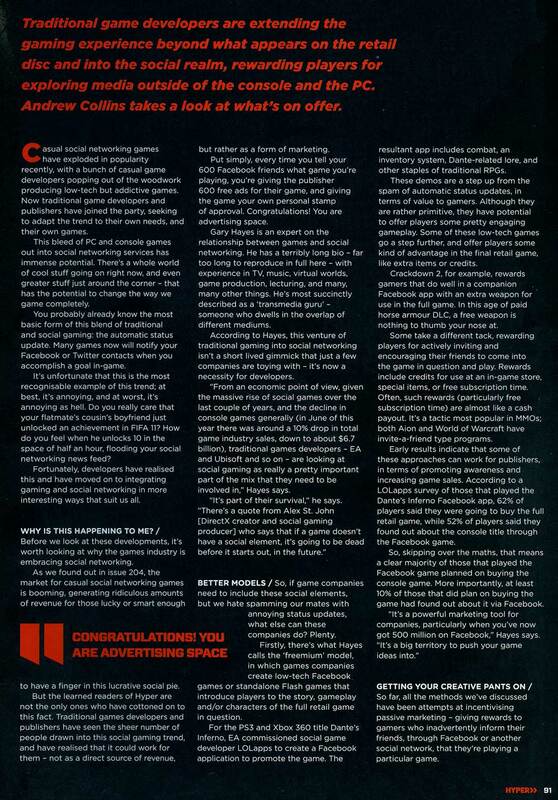 “The social video component of gameplay – machinima – is, to me, lifeblood marketing. It’s the equivalent of the $3 million trailers for the big movies,” Hayes says. Believe it or not, the ultimate social experience occurs in the real world. And reality is seen by some as the next big thing for social gaming. These multiplayer `geosocial or ‘augmented reality’ games are played out and about in the real world, with your GPS-enabled mobile phone or tablet computer keeping track of your location, various game variables, and your progress. Rudimentary examples include Foursquare and Gowalla – very basic mobile phone games that reward players with virtual points for ‘checking in’ to nominated locations around the world. Other augmented reality games cover a bunch of genres, including scavenger hunts, murder mysteries and even shooters. Most are rather simple, but there are more complex ones on the way, like SCVNGR, a geosocial gaming platform. SCVNGR not only tracks players’ locations, but also issues specific challenges at particular places, and rewards players for completing them. SCVNGR stands apart from other geosocial games in that businesses can pay a monthly fee to create their own challenges for the game, with their own required tasks, and potentially, real-world rewards. So, you might go to your local pizzeria, type “give this gentlemanly bird a cheese pizza” into your phone, and be rewarded with a delicious cheese pizza. 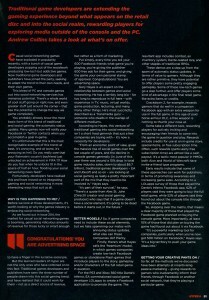 [SCVNGR] is obviously part marketing but also part future of games themselves, as they move out of the living room and into real space,” Hayes says. 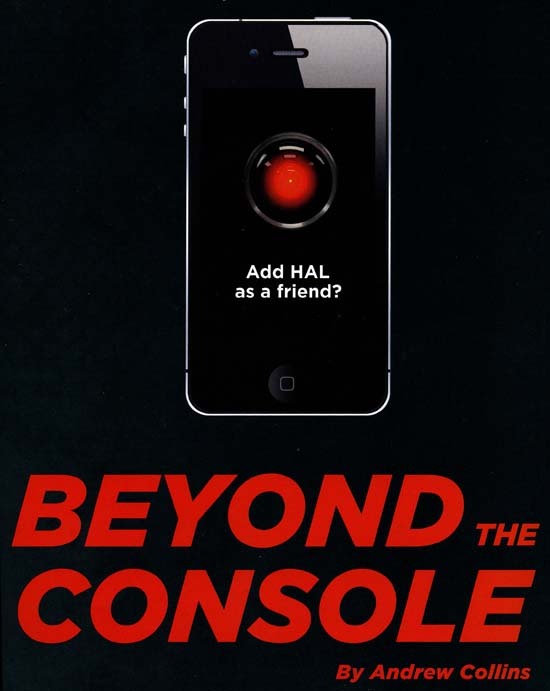 Hayes himself is involved in developing a team-based augmented reality game, set to be released somewhere around mid to late 2011. “It’s almost like playing a console game but in a real live situation. You’re given tasks to do and you have to travel around and fulfil those tasks.” These tasks include picking up virtual ‘packages’ and ‘delivering’ them to other locations. Hayes can’t reveal the game’s name at this stage, but does say that it ties into a TV show from a UK broadcaster, and is part promotion for that show, as well as being a game in its own right. And there will be a lot more games like this. 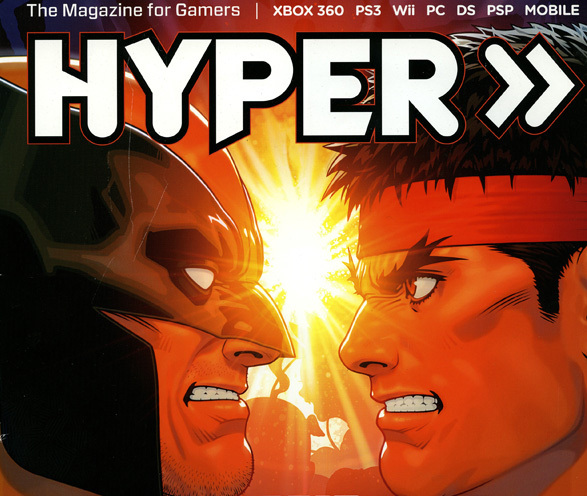 According to Hayes, there’s a lot of competition in this social space, and a lot of people developing for it. The future holds more hybrid social games – ones that blend the casual experience of a social networking game with the more complex gameplay of a PC/console title. Social gaming will continue to grow. And in the world of the console and the PC, single-player and “minimally rnultiplayer” 2-4 player games will slowly disappear. As such, consoles will primarily be used as online gaming platforms. Thankfully, game companies are much more savvy when it comes to social media than, say, those people working in TV and other traditional media. Hopefully that translates into some quality social gaming developments. And less status spam. Please, kind developers and publishers, no more gosh darned status spam. nice stuff gary, i follow gamespot to check out updates on games. Yes! Some people in the gaming industry finally get it. I hope the game devs listen and build in machinima components in their games.